first just let me appologize for missing last weeks kickoff. i didnt want to take away from the wedding with a bunch of dirty girls. i took on this job and i might not last but i wont quit after one week. the only guy i know that quit the blog is deegan. derek called me out for missing my review, but why didnt he call out smiddys restaurant review?? was it that bad that he was fired before a second review? or is the smiduation on a cold streak on the dating front? he cant be doing that bad if he had a girl drive all the way down to foxwoods after a wedding to see him. why didnt he write about that date? one thing you will learn about me is i LOVE gossip. along with the pictures i provide there will be a story that goes along with it. now i almost did a spread on britney spears. dirty voice mails, a huge come back, an album next year and a personal favorite of mine. but then i saw the hoff has a new show with his two daughters. young and hott giving their father dating advice. they admit girls under 25 still go after him. well hey what about the older guys like me trying to bang his two daughters, that would be a hell of a three some! how ever, i decided to go with another girl. this girls parents are going through a divorce cuz her mom has been banging brett michaels even though she has the achy breaky heart at home. 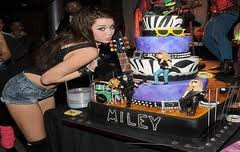 happy birthday miley, its been three years in the waiting since i could post these pics!! love it! tell the dog guy to post on a peta site this is what i come here for!